Manipal ICAS Admission 2018 application process has already started. Candidates can visit the official website of Manipal University to fill the application form or directly apply on this page. Manipal ICAS International Transfer Program is open to all Indians, NRI/NRE and Foreign Nationals. There is no entrance exam for Manipal ICAS 2018.
International Centre for Applied Sciences (ICAS) offer the program under International Transfer Program. The Course offers a provision for credit transfer to any of the foreign universities at the end of the second year of studies. 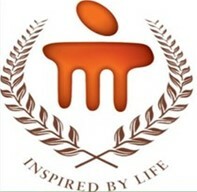 Under this program, students can complete their first two years of study at Manipal University, India and the following two years can be pursued at a premium university in the foreign country of their choice such as USA, UK, Australia, Germany, Canada, France and many more by transferring their credits obtained from first two years of study. The student will get International Engineering degree at the completion of course. The Students do not opt for the international transfer, they can continue their third year of study at Manipal and on its completion can obtain BSc (Applied Science) degree from Manipal University. Students opting for Aerospace/Aviation/Aeronautical and Architecture streams only can take credit transfer after the first year. MU OET 2018 - Manipal Entrance Exam Dates Released for Different Courses! Manipal ICAS has tie-ups with various International Universities located in countries like USA, UK, Australia, Germany, Canada and France. When the credits get transferred to a foreign University, the degree is awarded by the international university chosen by the student. The awarded degree will be recognised all over the world and will be given as per the norms of that foreign university/country. Indian Govt. recognises degrees of some top Universities (depending on the case) but this international degree is well accepted by almost all private sector, multinational companies. The Course duration for Architecture/Aviation/Aerospace in India is only one year. Academic Eligibility - Candidates have to complete 10+2 (CBSE, ICSE, ‘A’ Levels, IB, HSC, OSSD, American High School Diploma) or equivalent examination. Candidates must require minimum of 60% (aggregate) or ‘C’ grade in English, Physics and Mathematics with Chemistry or Biology or Computer Science or Biotechnology or Electronics as optional subjects in the 12th standard. Candidates can apply for the ICAS program before their 12th board results are declared and confirm provisional admission based on expected performance. In this case, provisional admission letter will be issued. TOFL Score- Students from a Non-English medium of instruction are eligible to apply if the obtain a score of above 90 in the TOEFL exam. Architecture Branch- Engineering Drawing or Biology as optional subjects for admission to Architecture. Students seeking admission to Architecture at ICAS need to have a minimum of 80 out of 200 in NATA exam. The application form for Manipal ICAS Admission 2018 can be filled through both online and offline mode. Candidates can visit the official website of Manipal University to fill the application form or click on the following link. STEP 1: Registration: Before filling the application form candidates have to fill the registration form by submitting the basic details such as Name, Email Id, Contact No., etc. After successful registration, the candidate will receive username & password on their given Email Id. STEP 2: Program: After the successful login, candidates must choose the program which they want to do. STEP 3: Contact Details: Candidates have to submit their contact details in this section. STEP 4: Education Details: Candidates have to submit their educational details such as Course Name, Percentage, University/Board Name, etc. STEP 5: Upload: Candidates must upload their scanned copy of photograph and signature in the application form as well as the scanned copies of required documents. STEP 6: Confirmation: After completing all steps candidates have to give confirmation of the filled details and pay the application fee for final submission. The candidates can also fill the application form through online mode. Those candidates, who want to apply through offline mode, can download the offline application form from the official website of Manipal University or click on the following link to download the application form. STEP 1: General Details: Candidates have to fill the general details in the offline application form such as Course Applying For, Name, DOB, etc. STEP 2: Contact Details: Candidates have to fill their contact details such as Contact Address, Mailing Address, Contact Number, Email, etc. STEP 3: Educational Details: Candidates have to fill their academic information in the given section such as Course Name, Percentage, University/Board Name, etc. STEP 4: Photograph & Signature: Candidates must paste their passport size photograph at the given box in application form and signature the application form. Online: Candidates who applying online, can pay the application fee through Credit Card, Debit Card, Net Banking or Demand Draft as per their convenience. Mark list of the qualifying examination and other transcripts. Birth Certificate or any examination certificate showing the date of birth. Passport copy (if the candidate doesn't have a passport, it can be submitted later as well). Application processing fees of Rs. 2000 in the form of demand draft drawn in favour of Manipal University, and payable at Manipal/Udupi (Karnataka). Online: The online application form can be submitted through online mode. In the case of demand draft, candidates have to send it to the following address. Offline: Candidates, who filled the offline application form, have to send it to the following address along with the above-mentioned documents. The students who opt for BSc (Applied Sciences) degree and opt to continue their studies at Manipal will have to pay the third year tuition fee. All the students admitted to ICAS will be given laptop by Manipal. The fees applicable for NRIs and foreign nationals are same as that for Indian students. The selection of the candidates will be based on the scores of their intermediate (10+2) examination. To get admission to ICAS Transfer Program, candidates have to fulfil all the eligibilities which mentioned above.